You know you’ve raised your kids to be cat people when… your Instagram feed is full of adorable photos like this one! (It’s one of my favorite phone pics.) 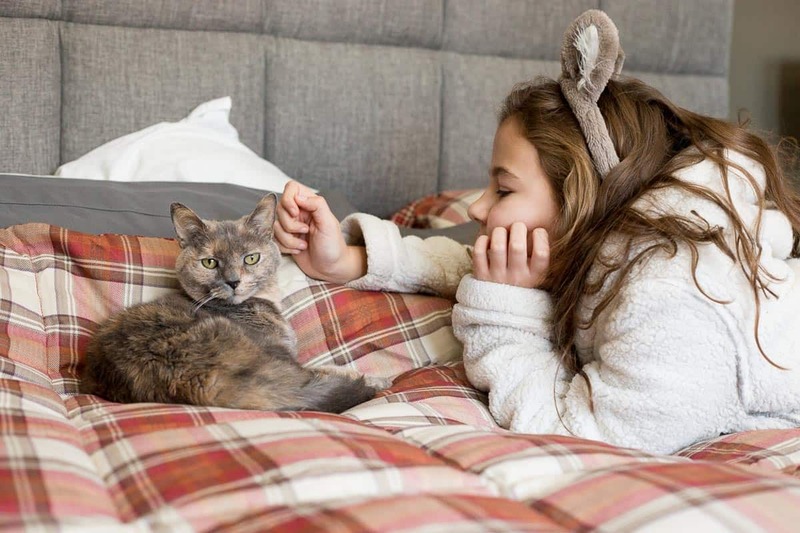 Below are 12 signs your child is OFFICIALLY a cat person. A big thanks to Meijer for sponsoring today’s post. When you’re a parent of a tween or teen, you realize important life conversations can happen on a random Tuesday during the car ride to the grocery store. We went on to talk about what she might want to study, what universities she’s interested in touring, and eventually what “success” means. And to think, this in-depth conversation all started with a simple declaration that she’s officially a cat person. Not sure your little one is OFFICIALLY a cat person? Here are 12 ways you can tell. 1. You ask your kids to empty the dishwasher, and they say they can’t because the cat is on their lap and they can’t break up their snuggle session. 2. You’ve overheard your kiddos not only talking to the cat but holding up BOTH ends of the conversation. 4. Your cat has an Instagram account. 5. You grab a bag of cat food in the pet section and as you place it in your cart, you find a toy kitty wand “we need” to buy suddenly making its way in the cart, too. Oh, who am I kidding? I’m a sucker for burlap mice and feather cat toys, too. How cute is this Instagram video?!? 6. Your kids’ idea of an ideal Saturday night is watching a family movie and cuddling with the cat. 7. The only thing that will make your children feel better when they have a 101-degree fever is the cat snuggled by their side. 8. Your kiddos don’t ever wear black (because of the cat hair), and they’re A-OK with that. 9. Their phone wallpaper is a snapshot of them and the cat cheek-to-cheek or nose-to-nose. 10. Your kids are excited about the Meijer delivery at the front door because the cat is about to get a new box to play in. Did you know Meijer offers home delivery? 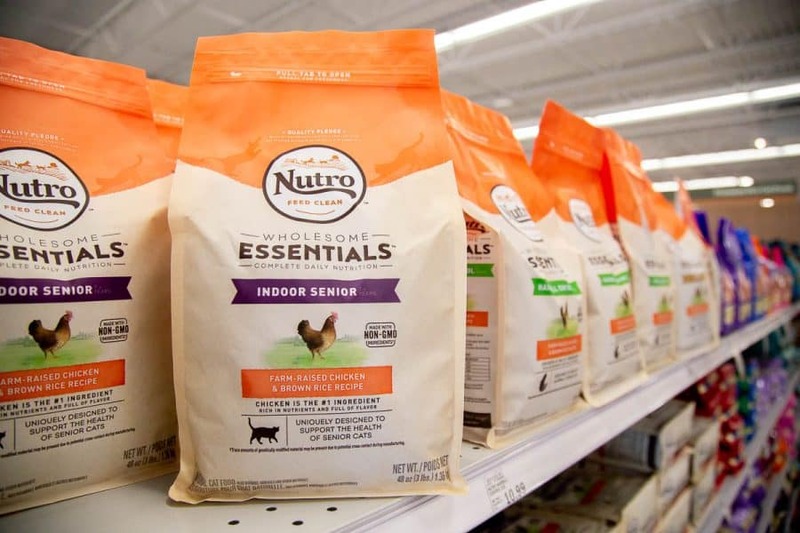 Meijer offers a diverse selection of cat foods to choose from, including top brands like Nutro and Blue Buffalo, that can be delivered straight to you along with anything else your pet needs (think kitty litter!). 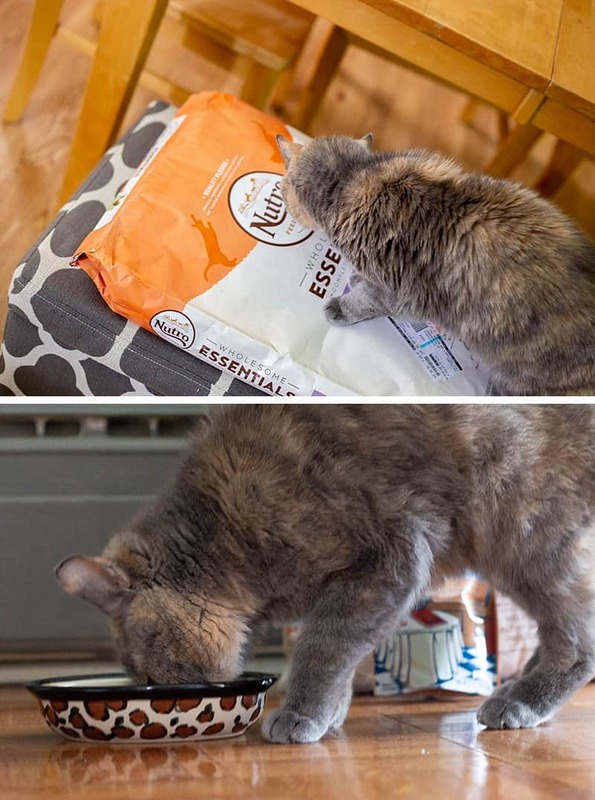 You order cat food — along with anything else you need from shopmeijer.com — and a personal shopper pulls together all your items, and your order conveniently gets to your door as in as little as 1 hour. Easy-peasy. We always roll with the high-end “Indoor Senior” in the bulk bag for our little lady. It is hard to believe she is sixteen this year! Click here to see if Meijer currently delivers to your neighborhood. 11. Your kids cannot wrap their little heads around the idea of people NOT liking cats. 12. You go in to kiss your kids goodnight after they’ve fallen asleep, and you find one of them dangling on the edge of the bed while the cat is sprawled out in the middle. When I pause to think of all the important moments our two cats have been part of over the years — playing with ribbons as we planned our wedding, snuggling up during middle-of-the-night feedings, being lovingly stroked as we read bedtime stories, serving as a silent confidant after a hard day of middle school — it makes my heart smile to know my daughter is OFFICIALLY a cat lover, too. It’s not all that awesome fresh produce, the great deals through mPerks, or even the range of selection. It’s not even the fact I can sip a Starbucks coffee while I grocery shop, though that IS pretty swell. What makes Meijer a standout in my book is that Meijer is a family-run business truly committed to OUR FAMILIES. Yes, they are committed to strengthening the communities they serve. Yes, they are committed to local farmers and businesses. But, they are committed to PARENTS, too. As a kid, I remember pleading for a quarter so I could ride the mechanical carousel pony outside our local grocery store. In my head, I can still hear my mom giving me a flat “no” every single time I asked. With four kids in the family, we grew up on a tight budget. I mean, just look at all these beautiful smiling faces on Instagram. That pony has won over my heart. Disclosure of Material Connection: This is a “sponsored post.” The company who sponsored it compensated me via a cash payment, gift, or something else of value to write it. Regardless, I only recommend products or services I use personally and believe will be good for my readers. This is a sponsored conversation written by me on behalf of Meijer. I am disclosing this in accordance with the Federal Trade Commission’s 16 CFR, Part 255: “Guides Concerning the Use of Endorsements and Testimonials in Advertising.” The opinions and text are all mine.